I know I been MIA for awhile now, but I have a legitimate reason for doing so. I've been planning a destination wedding since last August. I am happy to report, the wedding is over, and now we can return to regular programming (that is if I am not too lazy :p). With the wedding officially behind me, I can finally sit down and reminisce about it, and of course share with you all just in case this is something you are also considering. Here is a short list of pros and cons that I drew up for having a destination wedding. Having a destination is nothing short of fun (IMO), but I am sure you are bount to hear some complaints from relatives and friends, at least is the experience of most brides. If that doesn't bother you, by all means, just go with it. People travel all over the world to have their dream wedding, some like tropical beachs, while other sought out mountain tops or even Arctic glaciers. Both R and I enjoy hot weather with gorgeous beaches, plus we want to get away from our own dreary and cold weather, that's why we ended up choosing Cancun Mexico. Hawaii was definitely a huge contender, but since both R and I have been there, so we decided to go with somewhere new. 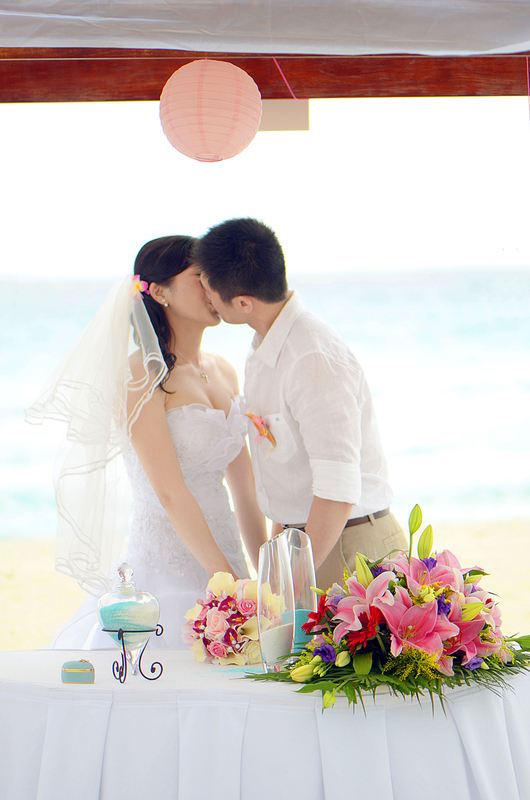 Choosing a resort really depend on many factors, such as location, venue, affordability, and wedding packages. Since there are over 300 hotels and resorts along the Maya Riveria coastline, it was certainly a daunting task to narrow down to one. 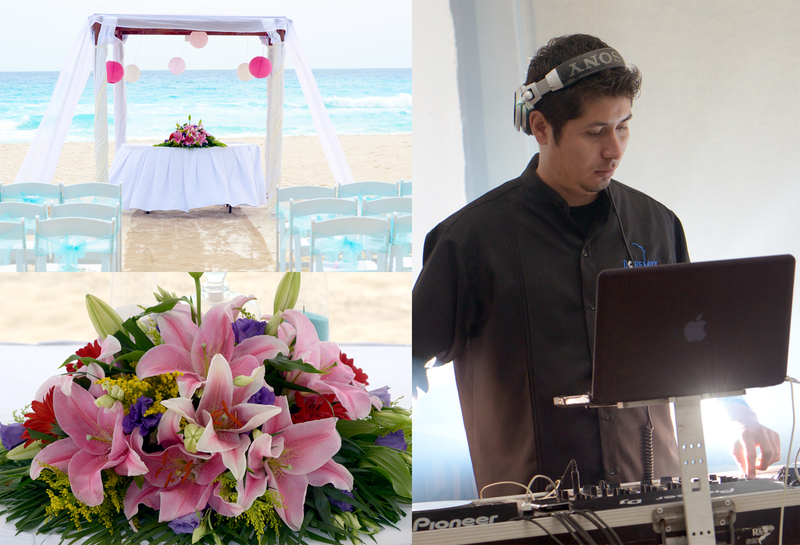 We based on our decision 2 huge factors: wedding packages and vacation packages. 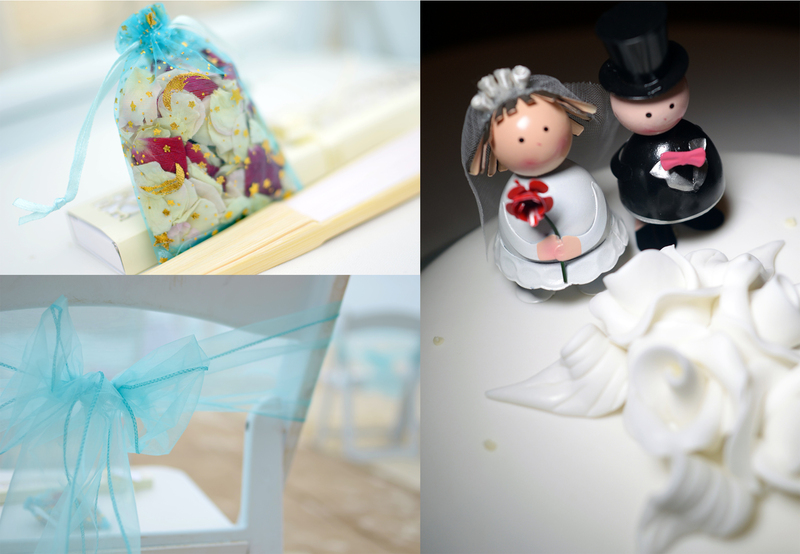 Wedding packages ranges from being free to several thousand dollars. The detail packages can be found directly on the resort website. 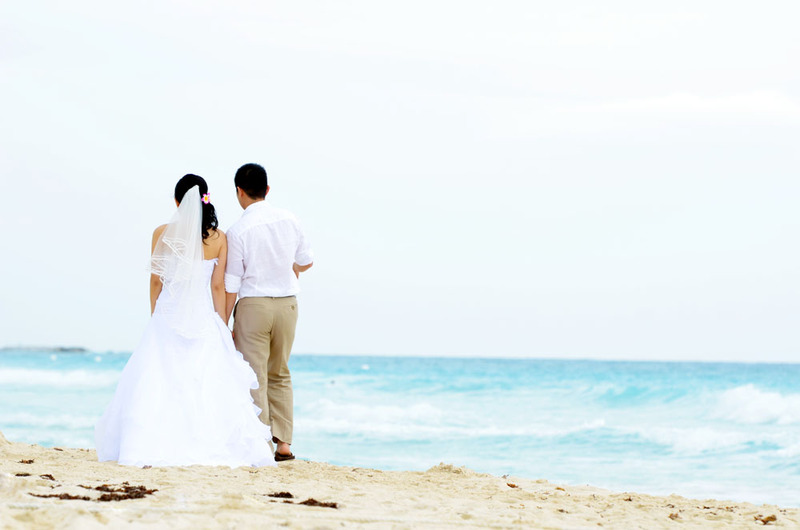 Once you decide on a resort, I would suggest getting in touch directly with their wedding department to put down a deposit to secure your wedding date and time. Once we got the group quote, we immediately sent out Save the Date to our friends to let them know all about our big day. Some people choose to sent out physical cards, but due to the limited time we had to book these vacation packages, we decided to go with the electronic route. Since there is only so much you can fit on the card, we also got a website to let everyone know the details. As for where to host the website, there are tons of wedding website that have template, so it's easy to set up. Most of these site do have free accounts, but if you require online RSVP, they mostly charge a fee. I ended up using Momentville, because they only charged an one time fee. Once you have a rough idea how many guests can attend, this is when you can start communicating with the online W/C (wedding coordinator) about all your decisions for wedding. At this point, you will only be communicating through email and phone. - Photographer: use resort photographer or bring your own. If you bring your own, many resort charges a outsider vendor fee, they range from $100-$500. My resort charged $350/vendor. So if you have videographer and photographer, that would be a whopping $700 extra in cost. At this point, it would also be good to start dress shopping, as it takes a long time for dresses to arrive after ordering. - Prepare your OOT (out of town) gift bags for your guest as a gesture of appreciation. - Confirm all travel plans: flight, transfer to hotel, and room reservations. 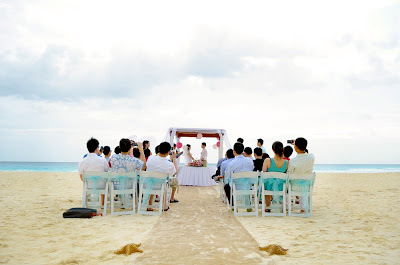 Usually you will be transferred to a onsite W/C 3 to 4 weeks before your wedding. This is the person who you will meet at the resort and be there on your day to make sure everything goes off without a hitch. At this point, you should be done and ready to go, and not to mention stressed, since all you can rely on is your imaginations. All I can say is the onsite W/C does this everyday, and they are highly trained (at least mine was). They know exactly what they are doing, and can help you with anything that you require. Just make sure to make an appointment with your onsite W/C before you leave, so you both can go over everything. That's it, the 6 basic steps to your dream destination wedding. I am sure I am forgetting or missing some informations, so if you have any question, feel free to email me at jenny@my-secret-eden.com. I will try to get back to you ASAP.